In the region of Silesia, near to the border of the Czech Republic and Poland, was born one of the purest and finest vodkas in the world – SILESIA VODKA. Thanks to its high purity, quality and softness, it belongs to the Ultra Premium vodka category. Made from the finest wheat and pure water in the area, it is distilled seven times over, allowing it to achieve the finest possible taste and aroma. Named in honor of its home region, SILESIA VODKA is a traditional vodka with great personality and true style. The tasting of SILESIA VODKA is a ritual, therefore it’s great to consume alone, always cold. 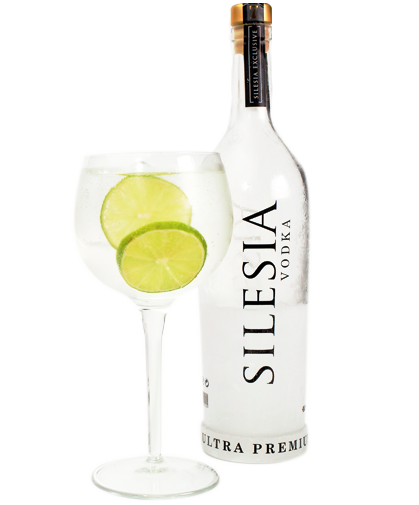 However, SILESIA VODKA also remains the best choice for mixing with tonic or use in a high cocktail.